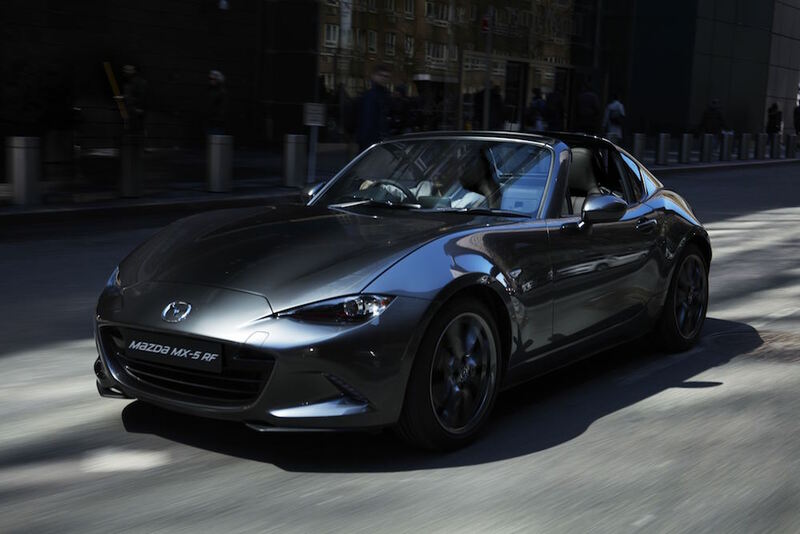 Mazda is no stranger to a limited edition of its MX-5, and today the Japanese brand has announced another – the MX-5 Z-Sport. 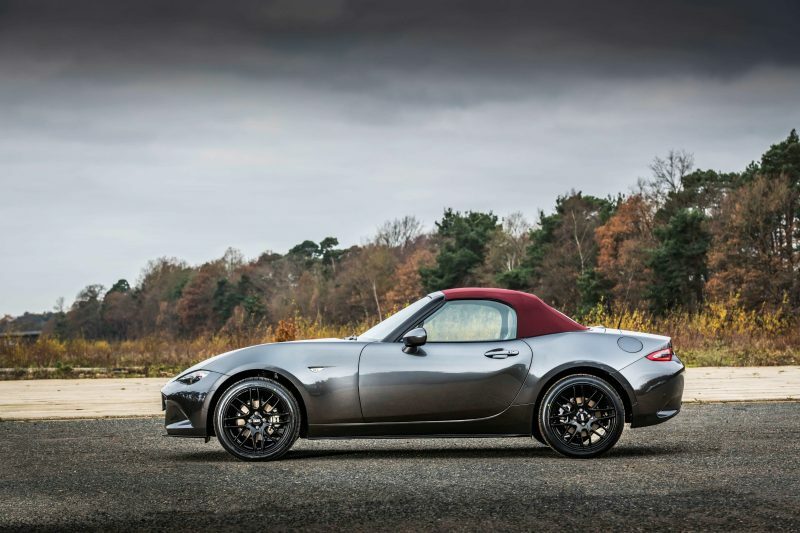 Available as March 2018, it will cost £25,595 and will be limited to just 300 cars. 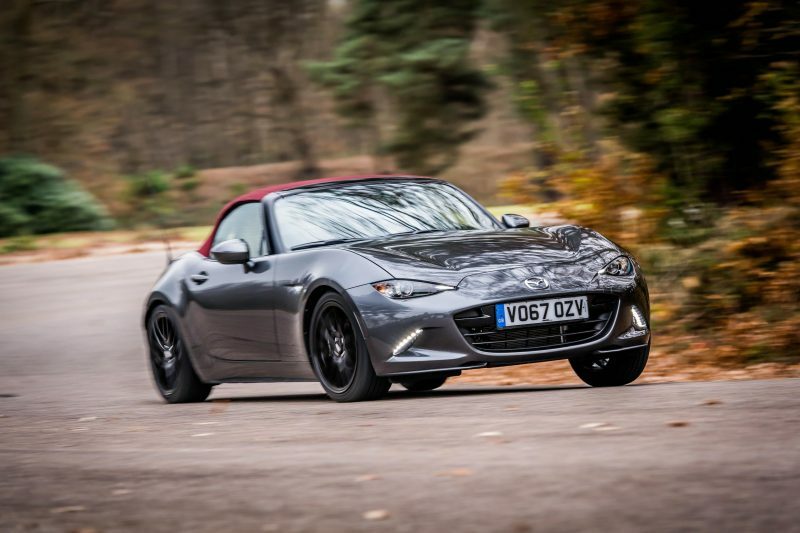 Available with only the 2.0 litre petrol, which produces 158bhp, the Z-Sport is based on the Sport Nav model, but comes with a few more goodies. 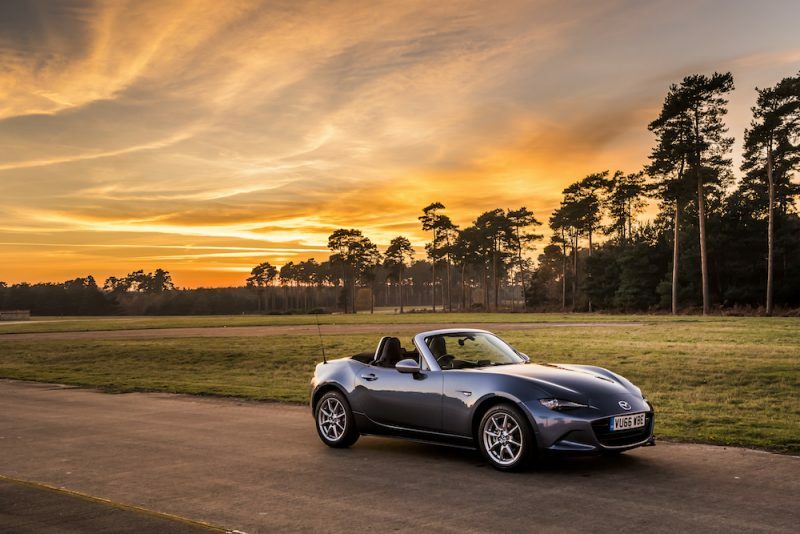 You won’t receive any extra performance, or any extra equipment, but what you will receive, is an MX-5 with unique styling cues. 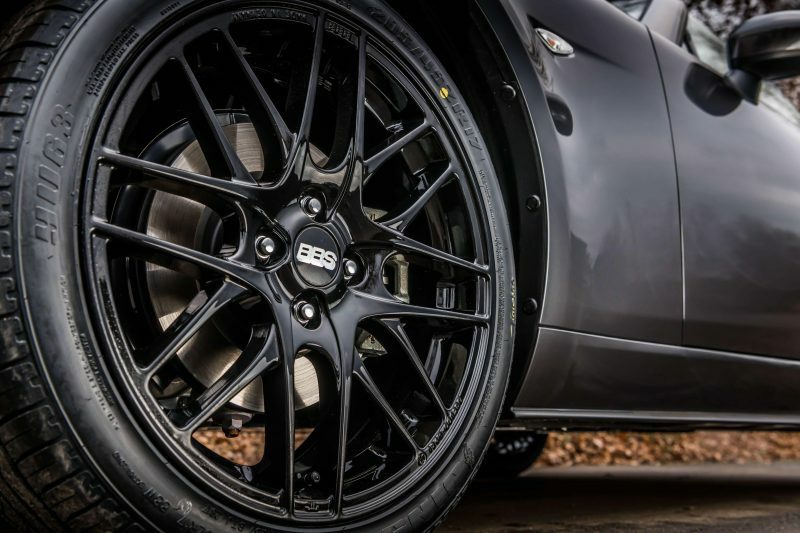 The Z-Sport comes finished in Machine Grey metallic paint, which is complimented with a Cherry Red fabric roof and 17″ BBS alloys finished in black. It’s quite a handsome thing by all accounts if you ask me. 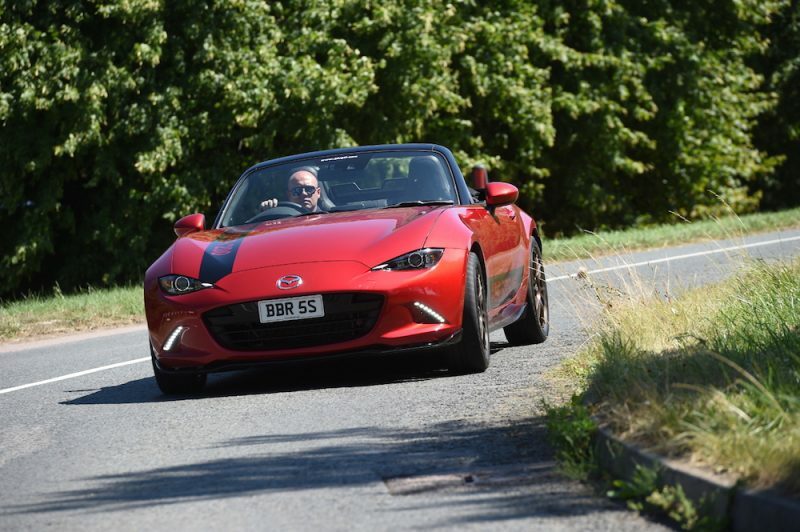 In regards to equipment, you’ll get exactly the same as what you would receive on a standard Sport Nav model, meaning you’ll get navigation, Bluetooth connectivity, DAB radio, cruise control, climate control, heated seats and keyless entry to name a few. 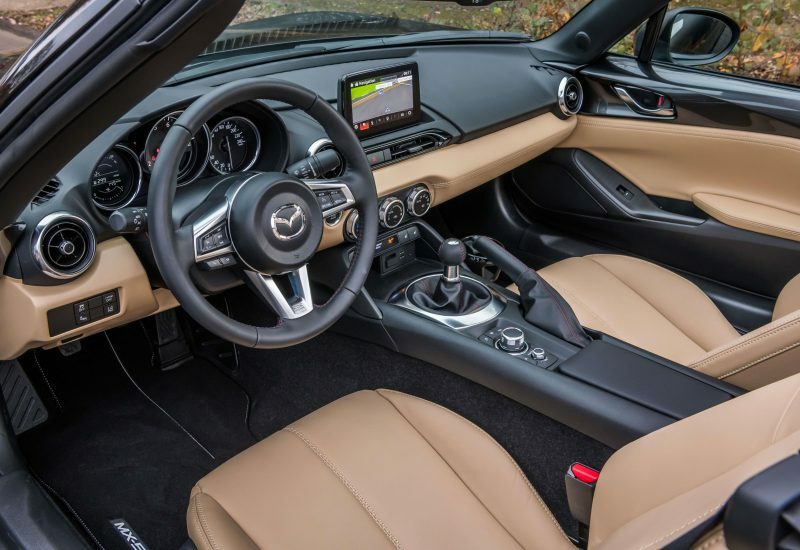 One difference though, is that you get the sand leather seats as standard, which would normally be an optional extra. 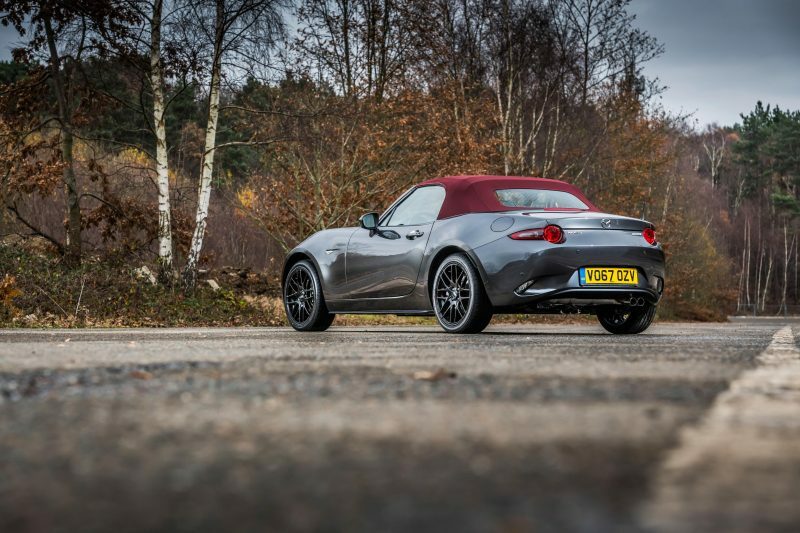 It’s also the first MX-5 of this generation to be made available with a different coloured roof, which is handy if you happen to find black a bit boring. 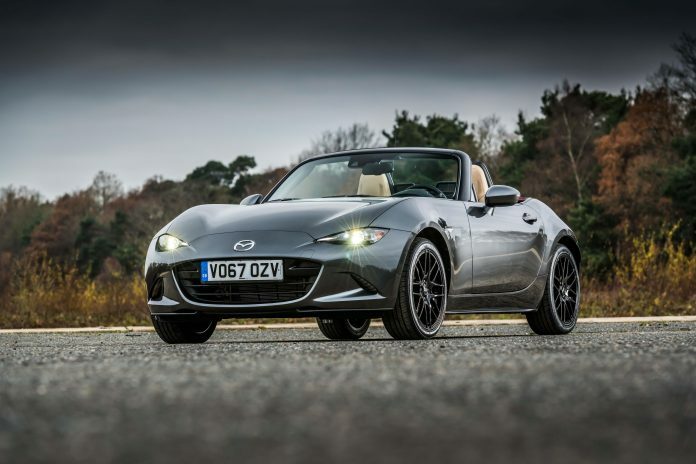 Mazda Turns Down Thermostat With New MX-5 Arctic Model New Mazda MX-5 RF Starts From £22,195 BBR Gives The MX-5 More Edge New Mazda CX-3 Receives More Refinement And GT Sport Trim Mazda MX-5 First Drive: B-Road Destroyer!